We all know that what we put into our bodies can have a big effect on our health, and the things we choose to treat our body’s largest organ, the skin, can also yield differing results. 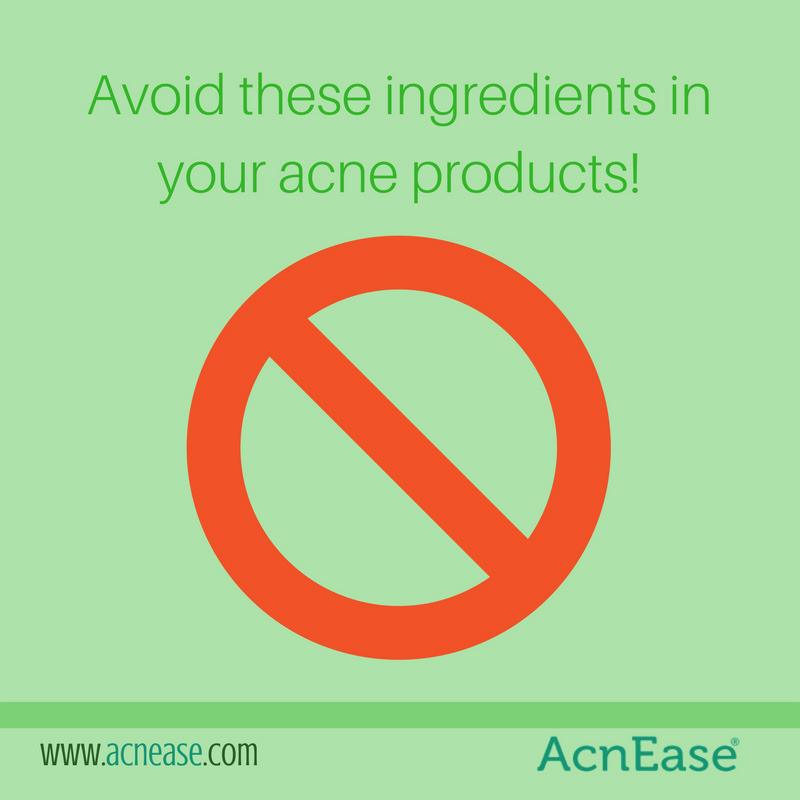 Many acne-fighting topical treatments are intended to zap any of that excess oil created by the sebaceous glands. This oil is called sebum, and plays a necessary part in maintaining healthy skin by protecting and hydrating the complexion, keeping skin looking youthful and supple. While keeping our oil levels in check in important, it’s equally imperative we not over-dry, as that can not only lead to more breakouts, but advanced signs of aging as well. Whether you’re a teen treating their acne for the first time or an adult working to keep their skin condition under control, it’s important to understand what ingredients to look out for to ensure the healthiest, happiest clear skin possible! Alcohol. This is a tough one to avoid in a lot of acne cleansers but an important one to be aware of, as it can dry your skin to look ahead of its time. When researching your topical skin care treatment, keep a special eye out for ethanol, methanol, benzyl alcohol, isopropyl, and ethyl alcohol, and do your best to steer clear - your skin will thank you for it! Mineral oil. A common ingredient found in many topical acne washes and creams, mineral oil is derived from petroleum, and can lead to clogged pores, which may result in acne. This alone can lead to inflammation, irritation and/or redness, which can result in fine lines. Sulfates. Another ingredient commonly found in hygienic and cosmetic products is Sodium Lauryl Sulfate, or SLS. During the manufacturing process, SLS is contaminated with a carcinogenic byproduct, and can irritate the skin and eyes. Toxic to body organs, sulfates can be linked to cell mutations and cancer, as well as increased dryness, which can result in fine lines and wrinkles over time. Many shampoos and conditioners contain sulfates, which tend to over-dry the scalp, leading to flakes, and may trigger an overproduction of oil. Tone with a gentle astringent. If you aspire for a healthy and clear complexion, use a powerful natural astringent like chamomile, which can control bacteria, help to prevent razor bumps and even speed up the healing of pimples. Chamomile has naturally soothing and antibacterial properties, and when applied topically, it can help reduce inflammation associated with acne. The best part? It’s easy to make and won’t cost you more than a few pennies! To create your own DIY chamomile astringent, check out our favorite recipe here! Moisturize. If you have an oil-free, non-comedogenic moisturizer that works to hydrate your acne-prone skin, we recommend sticking to it in addition to your skincare regimen. To add a little acne-friendly pampering that can also improve the condition of aging skin, try whipping up a gentle mask made of antibacterial honey and lactic acid-rich organic yogurt for a weekly treat! Resist the urge to over-wash. Over-washing can lead to over-drying, and this dehydrating effect can result in enlarged pores and flaky skin, as well as fine lines and wrinkles. Finding a gentle formula that works for your skin is a crucial part of treating acne, and limiting your washes to twice daily will ensure that too much sebum isn’t being stripped from the skin’s surface (which can actually trigger even more sebum to become produced, potentially resulting in more acne!). Keep water lukewarm, and always gently pat skin dry with a clean towel after cleansing. The last thing we want to do when treating acne is to create even more problems for our skin, and because topical treatments don’t even address the root cause, it hardly seems worth the risk of advanced symptoms of aging just for temporary relief. 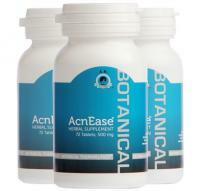 Our AcnEase® users are lucky to have total peace of mind and the opportunity to get the best complexion possible because they are on a treatment that actively works from the inside 24/7 to get rid of their acne naturally. The herbal ingredients used works to effectively create a barrier between the hormones and the sebaceous glands, resulting in zero side effects, and a gentle treatment that delivers real, long-lasting results, regardless of the severity of symptoms. You can save yourself some serious time and money, and your skin from further damage down the line! What has your experience been with acne fighting ingredients? Have you noticed adverse effects in other areas of your skin’s health? Tell us in the comments!